Looking for that perfect pub table that will complete your bar or man cave? 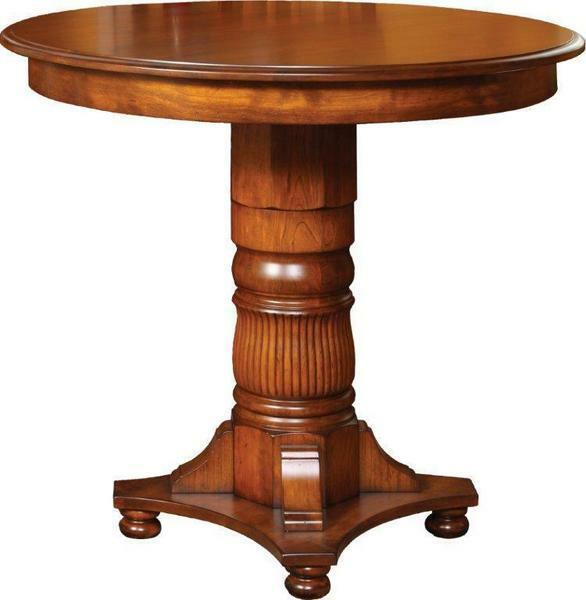 This Amish Mansion Pub Table is just what you're looking for. Handcrafted from 100% solid wood materials by Amish woodworkers who's commitment to quality is evident in every detail. This single pedestal pub table was crafted with four hidden drink holders that pull out from under the table top. Also available in a variety of top quality hardwoods including Brown Maple (standard), Red Oak, Hickory, Rustic Cherry, or Cherry.